If being on your own is a fabulous fit for you, then these 10 ideas for creative business are just the thing for you. However, everyone’s idea of success is different. And the hardest part about starting a new business is to decide what to do. In fact, inspiration is all around us, feel free to get motivated by 10+ Ideas for Creative Business for 2018 . Many of us are ready for a career change. Many of us are still unsure which road to go. But, there are many of people who get stuck for years and end up with nothing. But, you have another choice. If you are ready to run your own business, but looking for ideas for creative business, keep on reading. Who knows, maybe one of these ideas will be an excellent jump-off point for your start. Anyway, don’t kick it off till you try it. What are your skills? What are you great at? Maybe, you are ready to invest something that can make people’s life easier/ happier/ longer? There are millions of questions expecting an answer. The trick is to focus on a big picture. For many of us, an event planner sounds like a very glamorous sounding job, right? And that’s not only just the sound. It seems like everybody wants to be a party planner today. In fact, that’s a great business idea for 2018, isn’t it? Well, where to start? Are you ready to meet interesting people, go to great places, and the most exciting one always get to the party? Then, an event planner business is just the thing for you. Once you decide to launch your own event planning business, choose a niche. As there are many different types of events you can work. We’re sure you know what niche you want to focus on. What’s more, we’re sure you wish to become a big success. Really, why not? So, build a website. An eye-catching website is your ticket in today’s competitive business world. Think you have to invest tons of money to hire a developer? O tempora! O mores! Today a website costs you almost nothing. 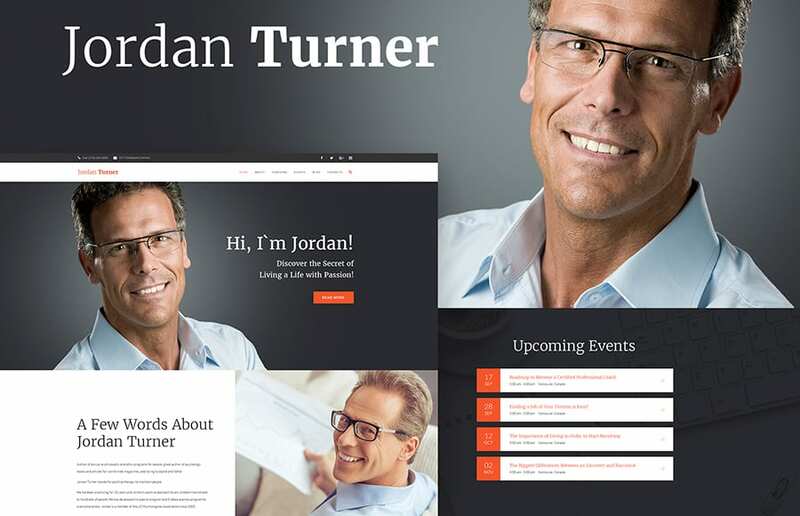 With this modern Event Planner WordPress theme, you can set your own website as simple as that. 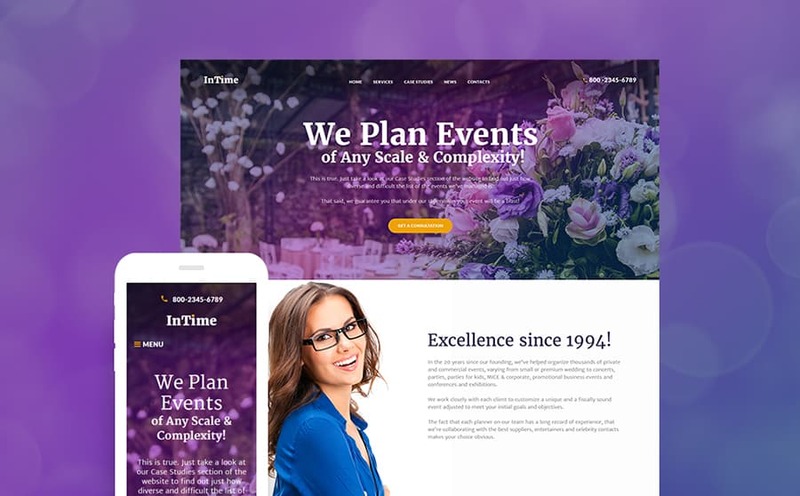 InTime is more just a WordPress theme for event management company. It’s your go-to option for starting a website. Just take a look at its outstanding design, beautiful event backgrounds, readable fonts, and pleasant tones. To be competitive as an event planner, you need a professional website. Face it, you need inTime. If you ever wanted to start a bar or club business, 2018 is a perfect year to make it happen. Say, you live in a neighborhood where the people love to catch fun outdoors at night. Then, starting a nightclub might be a profitable business for you. It’s not a secret that owning a nightclub business means dedicating long hours to your business. However, there’s one thing that can help save you a ton of time. Your nightclub website. Let’s face it, you’ll be facing stiff competition from every entertainment options from which your target customers can choose. So, you need to stay ahead of the game. 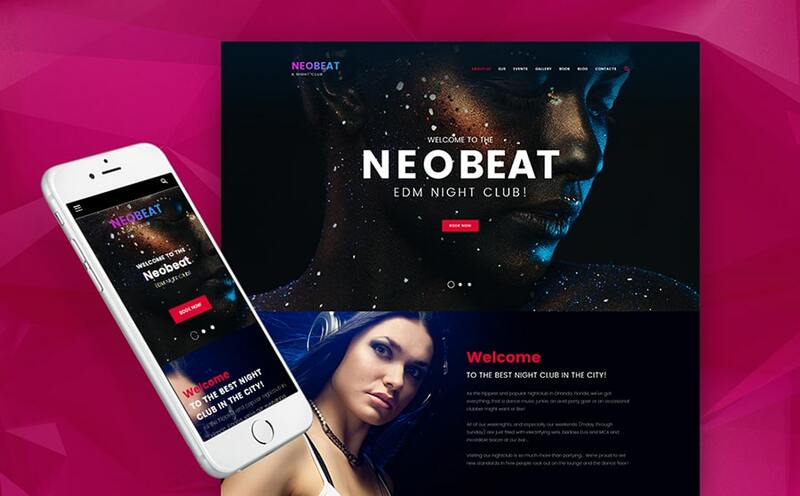 With Neobeat, create a fashionable nightclub to help your business bloom. Either way, you can use it as WordPress theme for event ticket sales. The best thing is that creating a website is easy and affordable. Personalize it to your particular needs. Thanks to drag-n-drop Power Page Builder, you can edit, manage, create and customize your web pages with minimal fuss. Simply change every design element that isn’t calling your name, and voila your website is ready to go live. Remember to promote your business. You will have to be greatly involved. Don’t forget that you need to be out there talking to your visitors and catching fun with them. At the end, you will have a job that is fun, interesting, and rewarding. What about sharing your knowledge for profit? Want to become a part of the coaching business? Well, there’s no reason why you can’t start your coaching business in this highly profitable industry. If you’re already serious about starting a life coaching business, then you need to become a successful life coach. However, it may seem the challenging business as you’re not going to sell a tangible product, but a skill driven by passion. After all, the first thing to do is to tell the world you exist. Begin to build your business today. This life coaching WordPress theme can help get you started. The theme comes with a fully responsive design and intuitive interface. What’s more, you can choose from multiple page layouts, footer & header styles, 4 blog variations, and more. Well, once your website is on, you can set up your schedule in the booking system and start accepting online bookings straight away. Start a blog and send automated email series. Remember to add social media sharing and follow buttons on all your pages for sharing your content on all social channels. So, it’s time to demonstrate your skills and their worth. Are you looking for a new challenge? You have a leadership experience and you it’s time to go out on your own. Well, starting your own marketing business or agency can be exactly what you want to do. Really, why not? If you’re a marketer then you probably know the importance of having a clean and modern website. Moreover it’s so comfortable for working from home. Create a website that will be the center of your marketing strategy. And what’s more, a great website is not necessarily an expensive one, but modern and engaging. That’s why Adverting can be a great choice for your future website. 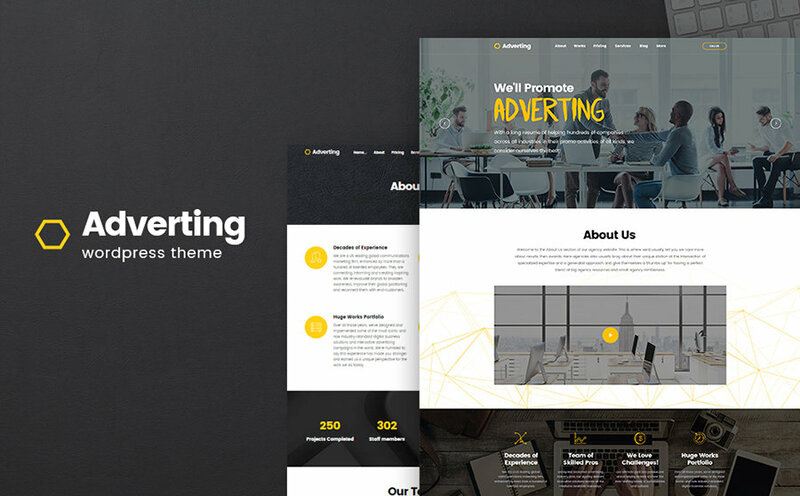 This fully editable WordPress theme can really help boost your business to the top. So, build a website that converts web traffic into clients. With Adverting, you can get it right. Promote your website and your clients will be going to love it. And one more thing – social proof. Convince your prospective clients to trust you. This can be done with social proof in the form of customer testimonials and reviews. Use this powerful conversion element where it matters most. Let’s learn other ideas for creative business. Have you ever thought about freelancing on the side to earn extra income? If yes, then starting your own web design business can be right up your alley. In fact, this can be a simple choice for you if you’re already familiar with the web design industry or have some degree in a related subject. The point is this could turn into one of the most profitable business you can ever dream of. So, are you ready to start your profitable web design business? If you have a passion and love to design, you can do it. But first things first. To get started you’ll need to launch a website of your own. Web Design Agency WordPress theme can help get you started. Plus, start a blog to attract new customers. 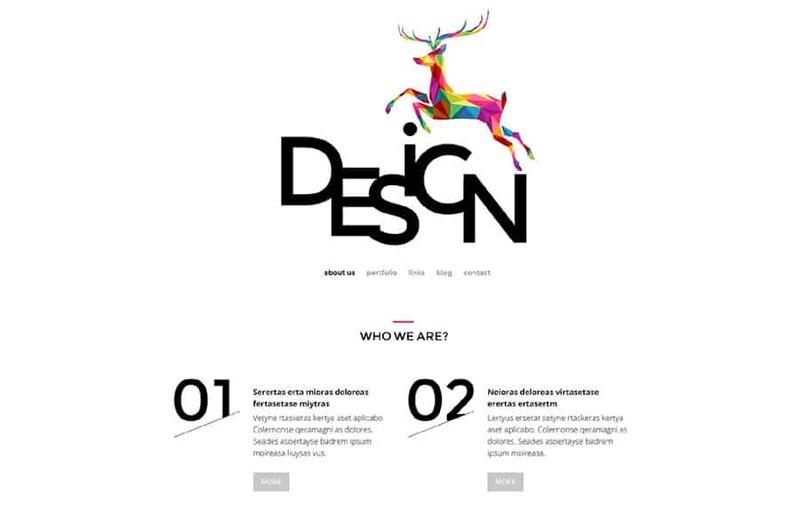 You know, the paint should never be dry on your web design website. Always look for ways to improve your website. It’s really important as it’s the hub of your brand. What’s more, constantly strive to attract potential clients and develop relationships on social media. The best thing is that you can start anywhere, anytime, anyhow. What it needs is to start and succeed at it. After all, optimism gets you halfway there. The next business idea would be great for those who have a teaching credential. If you’re fluent in languages and have a passion for cultural diversity, then starting a language school might be your best bet. Of course, your first step is to determine the type of language learners that you hope to attract. So, focus on what you enjoy doing, what you’re good at and get your own website. The best thing is that you don’t need to hire a professional developer and do all the work on your own. 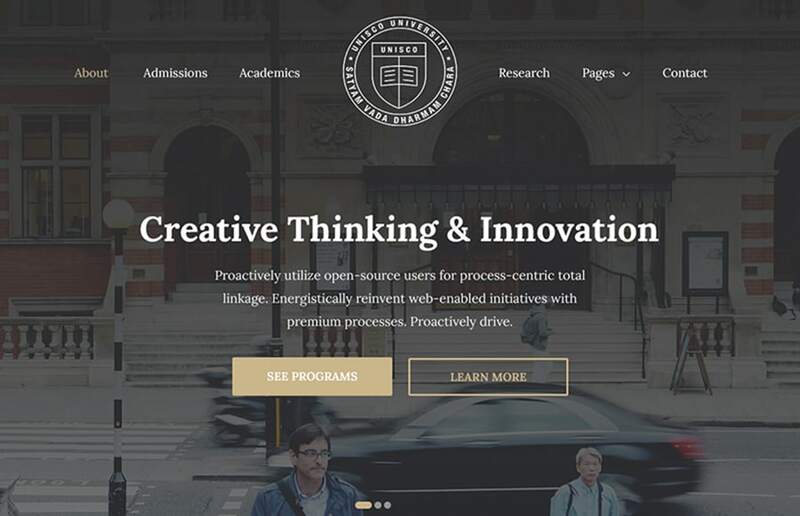 Take a look at this modern WordPress theme crafted for educational sites. 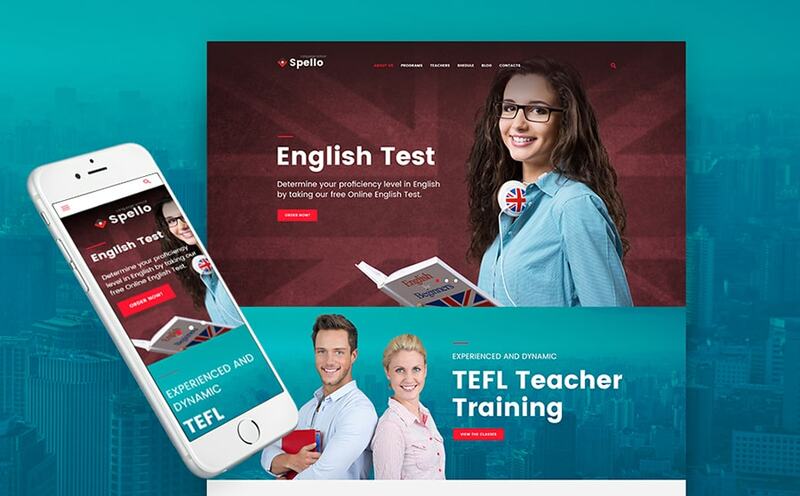 It can help create our language school site and engage visitors right from the start. No special skills or coding knowledge are required. If this business idea intrigues you and you think it might be a good fit, don’t wait any longer. Take the plunge. And see what happens next. Let’s move to another portion of ideas for creative business. Go on, confess you have mad cooking skills. Does everyone tell you what a good cook you are? If yes, then we encourage to turn this passion into your dream culinary business. So, how would you do this? Help the world get to know you through your modern website. 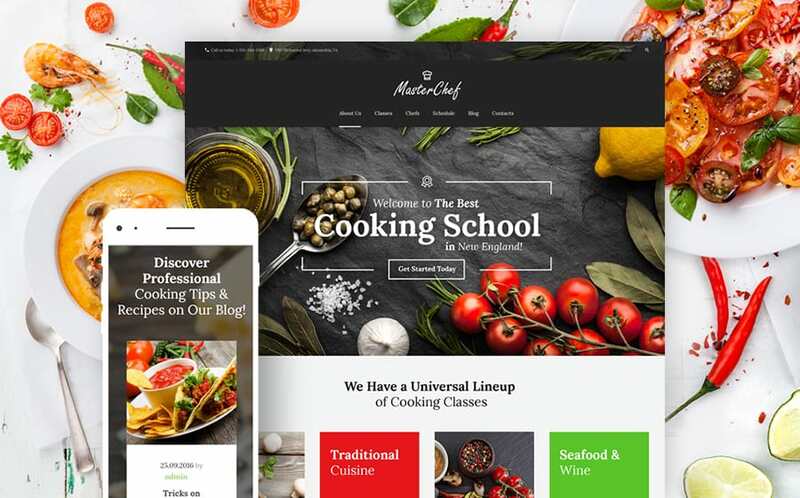 So, if you’re interested in starting a cooking school business, you may want to check this modern WordPress theme. This flexible theme can help you share your best cooking tips with your friends and followers. Tailored for the cooking school website, Master Chef can be adapted to any other education project. Turn your foodie fantasies into a thriving cooking school business. Make your website look and feel modern, accessible and healthy. You can start it in your spare time and take it from there. Fear not to start small and grow. Thinking about starting to work in the sports industry? And like many of us, you’re looking for ways to make your big break into the business of sports. That’s great, really. So, what about starting a dance studio, fitness center or gym center? You just need to promote it to gain the attention you need. And of course, one of the best ways to promote your business is your modern website. No need to waste your time on professional designers. Today, you can do it yourself. Just choose the right WordPress theme for your business niche and start the ball rolling. 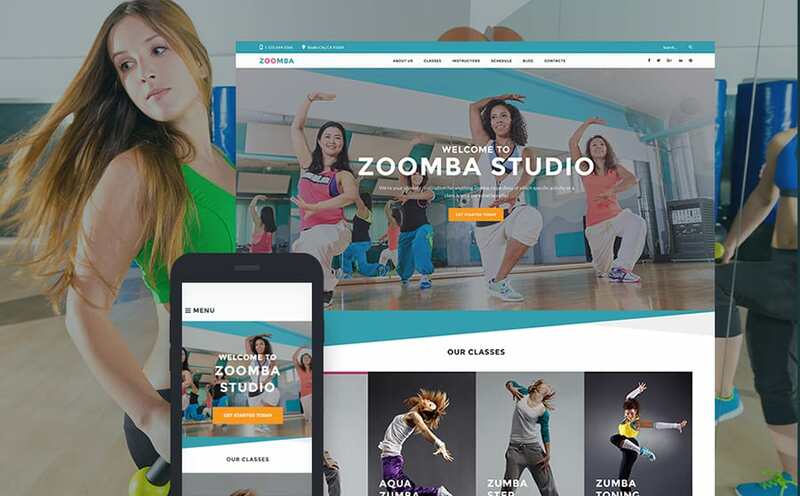 Besides, Zoomba can be a great choice for you. Explain to the visitors why there’s the need for your services, why to choose your offerings. Describe what makes your dance classes better or different. Convince them to do business with you. We gave you an idea, now turn it into a reality. The truth is that we all are different. There are people who seek ideas for creative business. And there are those who have awesome ideas and have no clue what to do with it. If you’re one of them, just go for it. Say, you’re serious about making money in the education industry. Whether you want to start a private nursery school, driving school, book club or computer college, make it a big success. If you really want to make money from your education business, then you should consider creating a website. This, however, can seem daunting. Not with Unisco. Well, this modern WordPress theme can be easily used for any kind of education-related projects. Indeed, you can modify it to your particular business requirements with minimal fuss. Well, education is not a new job or business, but there’s no doubt it can help you with the ideas for creative business. There are really enough problems in the education industry, so give people the solution they’re looking for. Help your users reach their destination. And again, you can start it without that much of investment. Bitcoin. Bitcoin. Bitcoin here, Bitcoin there. Everywhere. Wish to become a future financial mogul? How often do you take risks to get what you want? Do you often take risky roles? Well, if you wade in and risk everything you have to play the game, starting bitcoin business is your choice. The future of money is a great place to start a business. So, if you like to be creative and take risky roles, become bitcoin expert. After all, nothing will change if you don’t try. It’s not a secret that people want to know what’s going on with bitcoin. So, help them. Create a website and become an online trainer sharing information about new ways to use money. 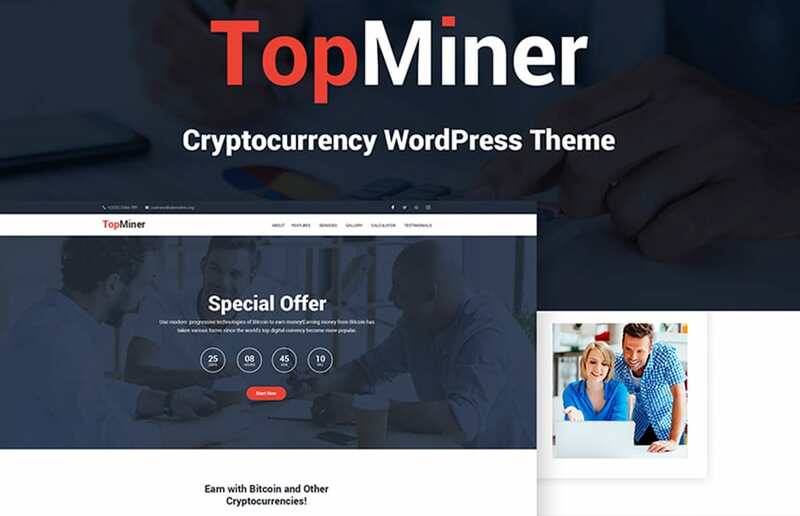 This can be easily done with the help of TopMiner WordPress theme. Its modern and sleek design suits well for any business or corporate web projects. Let this be your starting point to open up your creative floodgates. Take advantage of Bitcoin growth. If you see an ocean of potential here, then step right up. Don’t miss out a chance to turn the spotlight on you. Well, if you’re just starting out in the business world, keep in mind it requires a certain mindset and much patience. Fear not to make a mistake. You know, we can’t change the direction n of the wind, but we can adjust our sails to reach our destination. Anyway, no matter what niche are you going in, your website is the cornerstone of your success. Define your business niche, choose the specific segment of the market and take the plunge. The truth is that if you’re reading these lines, you’re already far ahead of the vast majority of people.